The Björkestra has been a fixture of Manhattan's downtown Big Band jazz scene since 2004 - dedicating their entire repertoire to arrangements of songs by Icelandic indie pop singer Björk. 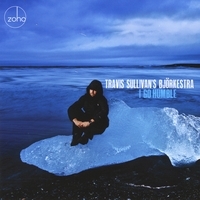 I Go Humble is the Björkestra's second CD release, and ZOHO debut. Produced by Travis Sullivan & Robert Olmsted. Recorded at The Jazz Standard, New York City, March 3 & 4, 2009. Recording & Mixing Engineer: Robert Olmsted. Mastering Engineer: Trevor Sadler, Mastermind Studios, Charlotte, NC. Art Direction and Package Design: Jack Frisch. Executive producer: Joachim "Jochen" Becker.